She’s the songstress who won Festivali i Kenges 57 and will represent the country of the two-headed eagle at this year’s Eurovision Song Contest in Tel Aviv. And as usually happens in Albania, Jonida Maliqi and her team have gone to the studio to give her Eurovision entry a proper revamp ahead of the song submission deadline. Albania has a mixed history with their revamps, with both Eneda Tarifa and Lindita Halimi failing to qualify in 2016 and 2017, while Eugent Bushpepa broke the curse and finished eleventh in last year’s grand final with “Mall”. On Sunday evening, the wait was finally over as Jonida unveiled the revamped version of “Ktheju Tokës”, accompanied by an artistic music video. The revamp didn’t change the arrangement of the song. In fact, it gained more atmosphere and more depth, allowing Jonida’s vocals and the flutes to truly soar. Overall there’s a more polished sound that elevates the song and takes it to new heights. Albania ain’t messing this year. The video features a more sensual Jonida singing her song in the smoke and, later, in the rain, along with shots of people in a nest, the same nest burning in flames, and two kids running, one across the water, another escaping from the flames. These most probably symbolize the message of the song, asking the people stuck abroad to return to their homeland. The short snippet of the mighty eagle is a reminder that “Ktheju Tokës” is the song of the whole Albanian nation. Are you pleased with this year’s revamped Albanian song? Do you think Jonida can follow Eugent’s footsteps and take the Balkan nation to the grand final for the second time in a row? Sound off in the comments below! This is a VERY good song. It has something which nowadays many songs forget to put in : deep meaning. It speaks about the country’s emotions as a whole and how it’s affecting the people. This not only should be in the final but it definitely deserves the top 10. Love this song so much! Please, Euro and Aussie friends don’t leave this masterpiece out of the grand final. Against all odds Eugent Bushpepa qualified last year, coming even 3rd on jury vote. Let’s hope Albania will do it again this year. Love it. I think people underestimate it in the odds. I can see it in the final. I have a strong feeling that this will qualify. It’s one of the only three songs with non-English lyrics in semi 2. Other two being Croatia, which is sub-par in comparison and Denmark, which has only fragments of many languages. It’s also a big diva ballad in a year full of slow atmospheric songs. It will certainly stand out and I predict it to qualify with ease. The only danger is being positioned too close to Russia and / or Netherlands, but I think she should qualify regardless. Exactly, plus, it’s one of the few songs that has (badass) ethnic elements that helps them so stand out. Now that it’s really, really good, we need a miracle result a la Suus to make it an amazing year. Hope it happens. What you mean is that the vocals are much higher in the mix than the instrumentation and have little reverb on them in most parts (albeit it’s definitely audible). Also, the voice is never double tracked in this song, which is a conscious production “compliment” to the singer’s talent. Because with double tracking and tuning you can make a decent sounding tune even out of a mediocre performance. It this case, it would’ve been excessive. Such a beautiful song! They did a great job with the revamp. I think it will stand out a lot during the second semifinal, as there are no songs with such ethnic sounds there and also she’s the only one singing in her native language. It gives me Greece 2018 vibes, but I hope they will do a suitable staging for her. Maybe something with smoke and fire like the video? No idea. Unless they mess up the staging, I see Albania as a qualifier. This is probably my favourite Albanian entrant ever, and the reworking has come up well. Hoping for big things in May! This is underrated. It’s a very powerful song, and Jonida is practically note perfect singing it live. I suppose the only challenge will be the language barrier, but otherwise I think this entry is very strong. Love the video. Such a stand out entry, love it. What have they done to her beautiful voice? It seems so compressed and at times very nasally. (Even a bit weak at times?) Her K’s and T’s and “used to KICK now they’re really throaty, as is the whole song. The instrumental is overpowering her so much. Hope this isn’t translated in the final perfomance cause Jonida KILLED it.? Prefer the first live versoin SO MUCH more. I don’t hear any of what you just said. I don’t know why everyone is sleeping on this. I get serious Jamala 2.0 vibes from Jonida, and mark my words this is going to be the dark horse of the year. Good song just got better. Wow, how crazy is it that, looking at the other entries, this has a strong probability of not qualifying? I’ll just say that this one looks even better now that everyone revealed their songs. It’s not among my favorites but it’s a clear stand-out this year and other countries would be lucky to have something on this level. With such pronounced drums it now sounds even more like a modern day Dead Can Dance single. Which is probably good, although to my ear the chorus somewhat lost its punch compared to the national selection version. Maybe it had some guitar distortion in the background earlier? Anyway, the melody is super catchy, unlike the totally bland Swedish entry, for instance. Should qualify for the sake of this being called a “song contest”. For the 2nd year in a row, I feel Albania has been overlooked by part of the fandom. 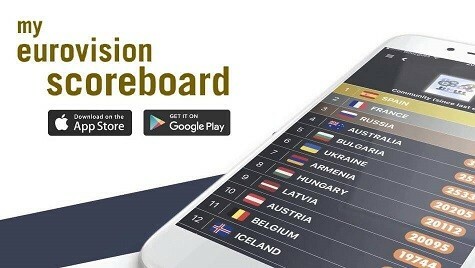 Hopefully, the outcome in Eurovision will be the same, with another final and a place on the left side of the scoreboard. Though it was much more complicated to ignore how awesome Eugent is. Back in December, I thought a revamp was unnecessary, but after reading many people complaining about it being “noisy”, I listened to it more carefully and there was indeed a little pollution in the track. They cleaned it up and kept its strenghts. Great song. The live performance is even better than this. I hope it qualifies for the final. Albania is propably a winner? Top 10. Not because it’s my country. But honestly she’s done smth different from our previous years. It’s nice but I’m tired of Albania always sending dramatic ethno ballads. Send something more like last year, that was a great one! Everyone was complaining last year too.. Unfortunately they have gone back to middle of the road entries. Actually this is the very first ethno ballad. Albania never had ethno ballad before, just ballads. As it was mentioned earlier, I don’t remember Albania sending another song with such ethnic elements in it. And also, in my opinion this isn’t even a ballad. She acts very dramatic when singing, but I think it’s too fast to be called a ballad. Also Eugent last year, had more of a mid-tempo song than a ballad. For me, it’s more theatrical than ballad, like Ukraine’s Gravity. Although not ditching their diva formula this is quite different from the other Albanian diva songs. Now that’s how you do a revamp! First Montenegro, now Albania, everyone is upping their game! That one is very elegant and gentle – there was no need to change much here. While the structure and melody remain the same, the revamp made the sound richer and even more pleasant. It enhances dramatic nature of the song and umphasises its traditional influences. It’s a bit like putting finishing touches on a sculpture, or adding details to a drawn face, and it really worked out here. Good job! Ok revamp, but I like more first version. First version sound more misterious . Great revamp, but that will not be enough to get into final. She needs AMAZING out of this world staging. Good luck with that. Albania needs to do something they never have done before and that is have WOW FACTOR staging. The beat in the chorus changed quite significantly. I’m not sure which version I like more, but it’s definitely not a bad revamp! This song is so underrated by most of the fandom and I hope people in the public can connect with it better, I adore this song so so much even as a non-Albanian. Just proof this song is both a message to those it is meant to, and a great song even to those who this song isn’t as personal to!